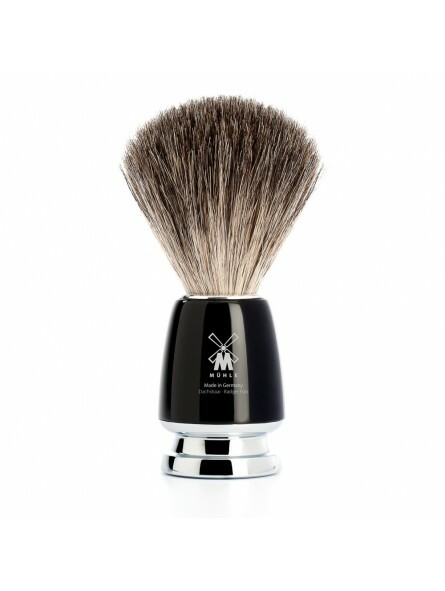 Mühle Shaving Brush Pure Badger Rytmo Series with black handle and chrome-plated base. The RYTMO series stands for eye-catching, timeless design: the conical form is interrupted at the chrome-plated base by distinctive lines. As with other traditional forms, this design principle ensures a snug fit when hung in the holder. In the design of the holder a small plastic rim is bonded directly to the metal. 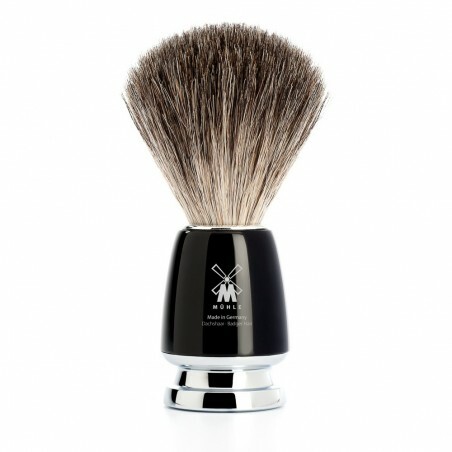 This principle guarantees the optimum purchase of brushes and razors, as well as reliably protecting the shiny chrome surfaces against scratching.